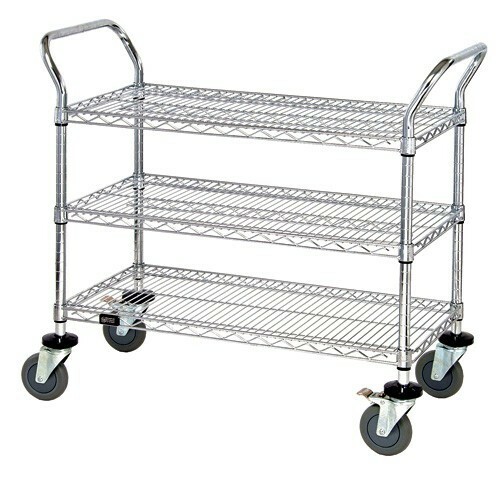 21" x 36" x 37-1/2", 3 Shelf Conductive ESD Wire Shelving utility carts offer versatility to any electronic component storage and transportation need. ESD Carts consist of two u-handles, 4 donut bumpers, 4 swivel conductive casters (2 with brakes), 3 wire shelves, aluminum split sleeves and drag chain. 21" x 36" x 37-1/2"